The Apollo 11 moon landing was one giant leap for mankind, but a string of conspiracy theories have since tried to ground the 1969 spaceflight as a staged production on a Hollywood backlot. The false claims range loud enough that NASA, in 2001, issued a response. 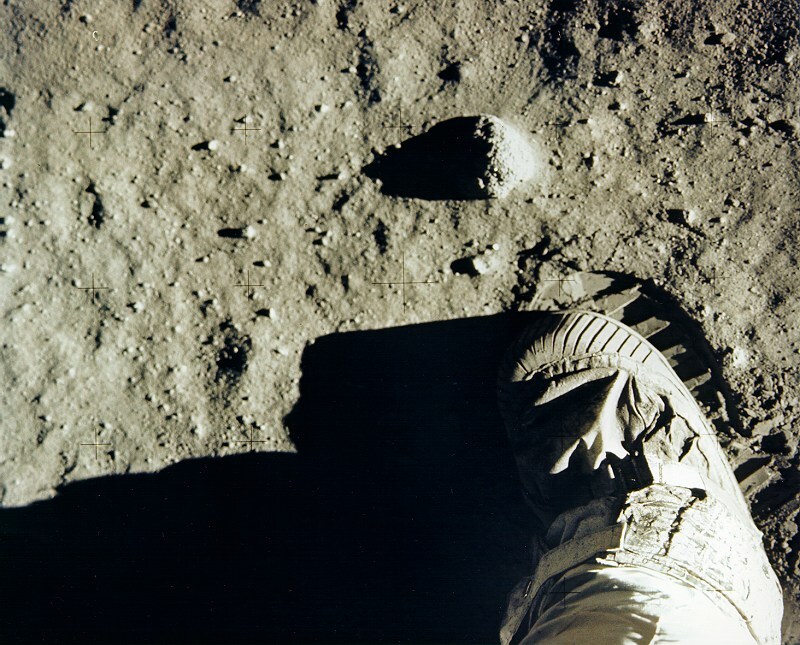 Unique rocks and common sense, the agency said, were evidence that Neil Armstrong and Buzz Aldrin left footprints on the moon. There was also that time that Aldrin punched a conspiracy theorist who poked him with a Bible, insisting repeatedly that the moon landings were faked. But have you ever wondered, for the Apollo 11 conspiracy to be true, how many people would need to be part of the secret? Just over 400,000, says Oxford University physicist and cancer biologist David Robert Grimes. Grimes, who is also a journalist, has published a new mathematical equation in the journal PLOS ONE that estimates how long a large-scale conspiracy can last before someone behind the scenes intentionally or unintentionally pulls back the curtain. “Science thrives on being open and gradually self-correcting, and a willingness to be guided by evidence rather than dogma,” Grimes said in an email. This means criticism and questions are an inherent part of the scientific process. However, Grimes thinks conspiracies, especially large one, go too far and should be separated from science. So Grimes devised a formula designed to calculate the lifespan of big conspiratorial beliefs. It takes into account the number of conspirators, the passage of time and the probability of a whistle-blower. The conditions were fine-tuned by three conspiracies that had been revealed in the past: the NSA eavesdropping scandal that was eventually uncovered by whistle-blower Edward Snowden; the Tuskegee syphilis experiment, which withheld a cure for the sexually transmitted disease from African-American men; and an FBI scandal involving Dr. Frederic Whitehurst, whose misleading forensic tests led to wrongful detainment and execution of several innocent people. Grimes looked at these conspiracies to approximate things like the “secret-keeping ability of a conspirator” and other factors that ultimately maintain a secret. Plus, Grimes gave imaginary conspirators in his math model an “unrealistically high” capacity for secrecy to gauge what it would take to spill the beans. He then tested his formula on four famous conspiracies that persist, despite being demonstrably false. Among them, that the Apollo 11 moon landings were faked, that climate change is a hoax perpetuated by scientists, that vaccinations are unsafe, and that Big Pharma is hiding a cure for cancer. In all four cases, scores of conspirators would be required to keep each secret. All four conspiracies would be uncovered in less than four years, according to Grimes’ calculations. For the moon-landing conspiracy to stay quiet, it would require an estimated 411,000 people — the number of NASA employees in 1965 — to keep mum. Grimes estimates this hoax should have broken down within 3.68 years, decades before a conspiracy theorist met the business end of a former astronaut’s fist. “Even then, a sustained lie would be very, very likely to fail quickly,” Grimes said. According to Grimes’ study, the climate change hoax, with an estimated 405,000 people involved, should have been exposed after 3.7 years. The vaccination conspiracy would need people at the World Health Organization, the Centers for Disease Control and Prevention and drug companies to keep mum, so according to Grimes’ formula, should have been exposed after 3.15 years. But it all comes down to numbers. For example, in the case of the vaccination subterfuge, if you remove the drug companies so it only involved the 22,000 folks at CDC and the WHO, it could have lasted a full 34.78 years, according to his equation. The cancer cover-up has the highest number of estimated conspirators — 714,000 people — and thus should have been revealed in 3.17 years. Grimes then looked at the maximum number of people needed to keep a secret for a actual conspiracy. According to Grimes’ calculations, the number of conspirators reduces the longer a conspiracy survives. For a hoax to persist five years, no more than 2,521 people can be active participants: that is, be aware that the conspiracy exists. To last 25 years, that number drops to 502. And to last a century: 125 people tops. “Large conspiracies tend to fail, and if you need large numbers of scientists to conspire, that’s incredibly unlikely to be tenable,” he said. So why do conspiracy theories resonate with some people? Benjamin Radford, deputy editor of the Skeptical Inquirer science magazine, said many conspiratorial beliefs have a “grain of truth” to them, such as when the high-profile revelations from Julian Assange of WikiLeaks and NSA whistle-blower Edward Snowden revealed that the government lied to the public. “There’s this illicit transference of belief where people assume just because the government is capable of doing bad things and being careless,” Radford said. It provides a “sheen of plausibility” that leads people to assume officials take things another step too far. That latent distrust of the government has translated to conspiracies theories about those in charge, such as contrails being made in the sky for nefarious means or suggestions that AIDS was introduced to decimate the African-American population, Radford said. 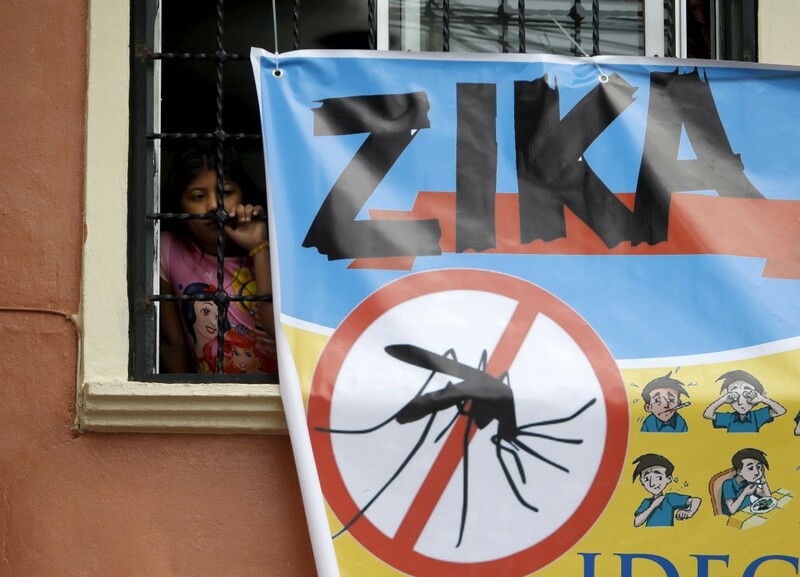 More recently, conspiracy theorists have blamed the Zika outbreak on a public health initiative that released genetically-modified mosquitos, while others have questioned whether government officials intentionally poisoned Flint residents. “Medical conspiracies deal with people’s lives. They deal with people who are sick. They deal with people who are dying. And that’s very personal,” he said. “A conspiracy about the moon landing is less personal. So the question to ask yourself isn’t ‘Do conspiracies happen?’ but rather what’s the likelihood that scientists en masse would be complicit in a conspiracy? Grimes doubts his equation will sway the true believers, but hopes it can raise public trust and instill an intuition. “Of course, not everyone who is worried about these claims is an out and out conspiracist. Many are just worried third parties who hear this and don’t know how to parse such claims,” he said.